Trying to find a wee bit of information about this, having found out my grandfather (died before I knew him) saw WWI with them. Any obvious place I should be looking for pics, information etc? JayKay wrote: Trying to find a wee bit of information about this, having found out my grandfather (died before I knew him) saw WWI with them. Funny, never thought of that. Hello JayKay,You can download the 15th HLI book for free with the GUGGENHEIM PROJECT, Idid and it will show you all the soldiers who served and died with the Battalion,Ian. 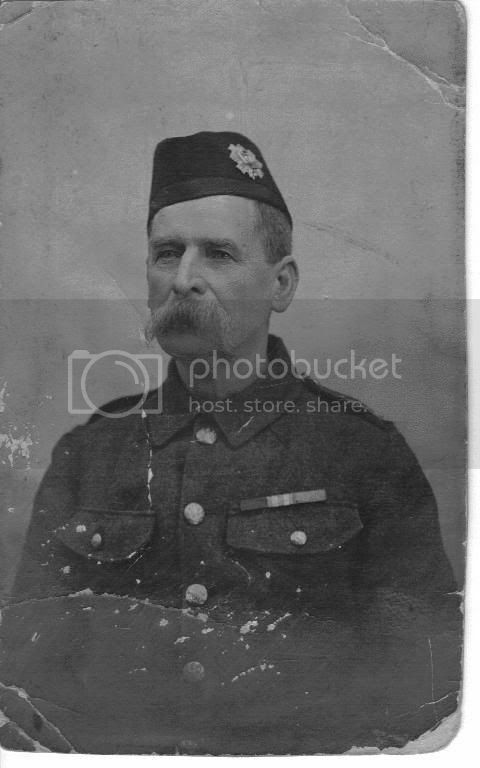 This is my great-grandfather, Colour Sgt. William Cavin of the H.L.I. His father, Edward, was also Colour Sgt. They served, and fought, in Africa and India. My grandfather, Thomas, broke the link though by leaving for Canada with his brother to avoid conscription in 1916. 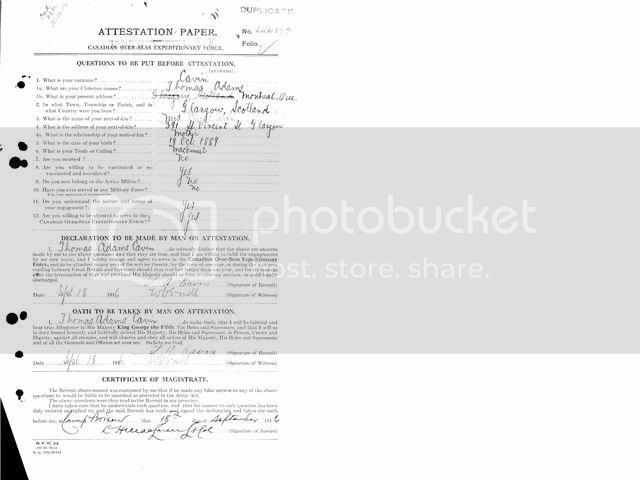 They arrived just in time for Canada to join in and they were called up for the Canadian Light Infantry - see enlistment papers below. I agree with Big Jim, the museum on Sauchiehall St. is well worth a visit. good shout, will pop in there. Ask for Sandy, he'll see you right. I've got a copy of the 16th HLI history. Just found it at the back of my bookshelves. On this subject, I had an interesting email from a chap in Canada. He found an old Glasgow tramways button in his grandfather's WW1 uniform but didn't have any more info. I wonder if he had met up with some lads from 15th HLI at some point and did a swap. No doubt many of them had kept the buttons from their old tramways uniforms as keepsakes. They actually did wear the tramway uniform during early basic training as army uniforms were in short supply at the beginning of the war. Picture I found in a 1944 Glasgow Corporation book.